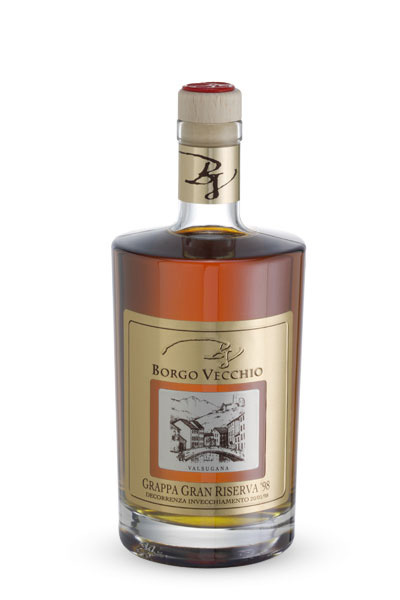 Our grappa, depending on the variety of provenance and characteristics of the product are barricades or refined only in French oak barrels of Limousine. For our Grappa Gran Riserva maturation of the product takes place over many years in the same barrels and barricades while aging in barrels we use the well-known soleras system, or for a Grappa barricade of two years left to rest the product 8 months in new barrels of medium toast, 8 months in barrels of second-hand and the last months of aging in casks of three years of production. This ensures our products continuity in character and taste for different production lots. For special productions such as Grappa Gewürztraminer, we use cherry wood casks, wood has a lower yield in the final product, but that is more delicate details in the release of aromatic compounds, which are decisive for the balance of the final product. All ours aged Grappas are certified by the customs agency of Trento Italy. This measn that our aged products are really aged (not artificially). Our Barrel is closed with seals for the time required by law to legally write on labels Aged Grappa.